(Micah Hanks) For a number of years, reports of unusual, silent moving, triangular-shaped aircraft have presented a recurring motif in UFO lore. 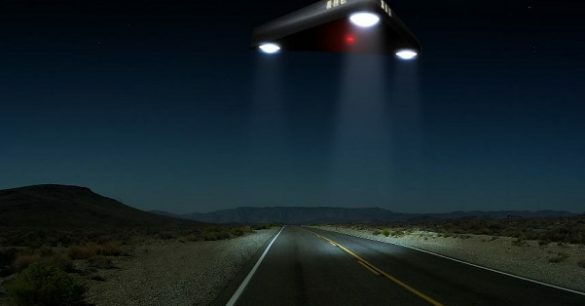 Reports of such aircraft have helped foment a number of responses from the public, which range from notions of “alien visitation”, to the more down-to-Earth (and frankly, the more likely) idea that secret military aircraft operate in our skies, representative of “black projects” that fall well beyond public knowledge. Related Strong Evidence Shows Extraterrestrials Have Been Shutting Down Nuclear Missiles Worldwide For Decades, But Why? Perhaps, it could be argued, such technologies fall well beyond the knowledge of not just the public, but of a wide variety of military agencies beyond those specialized fields in which development of said craft may occur. A recent report seems to detail this sort of “cloak and dagger” aviation, as released to John Greenwald of The Black Vault. The query was received from the U.S. Nuclear Regulatory Commission (NRC) via Freedom of Information Act Request. The (NRC) “was created as an independent agency by Congress in 1974 to ensure the safe use of radioactive materials for beneficial civilian purposes while protecting people and the environment.” The agency oversees and monitors commercial nuclear facilities, as well as the use of distributed materials which are nuclear in origin, which require inspection and regulation. According to the documents obtained by Greenwald, between 1986 and 1989, a triangular unidentified flying object (UFO) reportedly violated a protected area on the property of Cooper Nuclear Station, near the Missouri River. The incident, according to the report, was not reported to the NRC as required. The summary of the report makes for fascinating reading, as it describes multiple witnesses to a pair of sightings made over the course of two consecutive nights, and my multiple members of the security staff. While posted at the intake structure one night, he observed an “unidentified flying object” fly down the Missouri River about 150 feet in the air and hover in front of the intake. He observed it for a few moments and then contacted a fellow security officer who also observed it (he could not recall the individual’s name exactly but his first name was [REDACTED] and his last name was either [REDACTED ]. After they together observed the UFO, it turned and went back up the river and did not come back that shift. He and the other officer shared their observation with their peers who did not believe them. The next evening he again was posted at the intake and observed the UFO return again. This time he didn’t call anyone until the UFO had traversed into the protected area and hovered above the protected area just north of the Reactor Building. He said it was roughly triangular in shape with a circle of rotating lights on the bottom. He could not hear any propulsion noise from the UFO. He believes that it was roughly 1/3 the size of the Reactor Building. Once the UFO hovered in the protected area. He called the security break room and most of the officers on shift observed the UFO. The report notes that the observers, whose names were redacted from the document, were all security officers at the facility, all of whom were still employed at the facility in June of 2010 when the report was filed. “The [observer] believes that this incident should have been reported as a violation of the protected area space but was not reported.” The entire report can be read online here. The nature and origin of such unusual aircraft as these remain mysterious, though they have been consistently reported over the years. 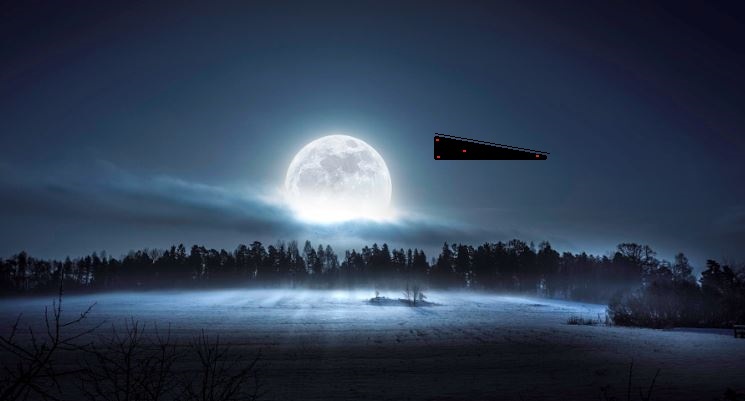 In February, KLAS Las Vegas reporter George Knapp, renowned for his interest in unidentified aerial phenomena, reported on massive, triangular-shaped aircraft which have repeatedly been seen over Nevada for a number of years, leading to some speculation about a “super-size stealth fighter” or other similar massive aircraft. This is an interesting note to end on, since the idea that a number of secret aviation technologies might operate with little purpose other than for surveillance and monitoring here at home, rather than for use in operations abroad. Naturally, it does seem to constitute a concern with relation to efforts against unnecessary government secrecy. As for why they appear from time to time? Much like the observers in the Cooper Nuclear Station incident, their testimony was not believed at the time the observation occurred; hence, there is little need for hiding away something that is so seldom seen, and so strange in appearance that it is hardly to be believed anyway. As the old saying goes, often the best place to hide something is in plain sight.